Beginning on July 2004, you will be filing electronically in the Clerk’s Office for the United States District Court for the Middle District of Florida. This is the future. The train is leaving the station; you can be on it or under it. Worry not, since implementation of the system can be painless. At my website, CentralLaw.com, and at my office we have been as paperless as possible for the past five years. Paperless technology makes storage, distribution, and duplication of case materials quick and easy. Remote access via the Internet allows effortless investigation and review of case files without a trip to the Clerk’s office. You will need Internet access, Software, a Power feed Scanner, and a little help. Documents created in your word processing applications will be converted to Adobe Acrobat Documents and images, exhibits, and copies of documents will be fed to our favorite accessory, a power fed scanner where they too can be automatically batch converted to Adobe Acrobat format for transmission electronically to our friends at the clerk’s office. One side benefit of the new filing requirement is convenience. Once implemented, case documents can be scanned and then retrieved remotely from across the hall or across the country. During one recent document-intensive case, members of our litigation team had compact discs containing most of the pleadings, documents, photos, sound and video recordings that were used in the matter. Everyone on our team had full access to almost all of the case documentation. No more schlepping banker’s boxes. The system has been thoroughly tested to address security concerns. Electronic signatures will be applied to court filings and will be authenticated by usernames and passwords issued by the Clerk’s office. The National Security Agency, our nation’s cyber security agency has evaluated the system. Not a single filing has been hacked or cracked. This technology does not improve either the content or strengthen arguments that users will still place in the Court’s electronic case files. Federal Criminal Defense Attorney just received an excellent checklist and list of principles to be applied in electronic discovery in criminal cases. Thanks to our Federal defense lawyer for this excellent outline. Below the principles are a quick ESI checklist. “Today, most information is created and stored electronically. The advent of electronically stored information (ESI) presents an opportunity for greater efficiency and cost savings for the entire criminal justice system . . . To realize those benefits and to avoid undue cost, disruption and delay, criminal practitioners must educate themselves and employ best practices for managing ESI discovery.” Excerpt from Introduction to Recommendations for ESI Discovery in Federal Criminal Cases . Principle 1: Lawyers have a responsibility to have an adequate understanding of electronic discovery. Principle 2: In the process of planning, producing, and resolving disputes about ESI discovery, the parties should include individuals with sufficient technical knowledge and experience regarding ESI. Principle 3: At the outset of a case, the parties should meet and confer about the nature, volume, and mechanics of producing ESI discovery. Where the ESI discovery is particularly complex or produced on a rolling basis, an on-going dialogue may be helpful. Principle 4: The parties should discuss what formats of production are possible and appropriate, and what formats can be generated. Any format selected for producing discovery should maintain the ESI’s integrity, allow for reasonable usability, reasonably limit costs, and, if possible, conform to industry standards for the format. Principle 5:When producing ESI discovery, a party should not be required to take on substantial additional processing or format conversion costs and burdens beyond what the party has already done or would do for its own case preparation or discovery production. Principle 6: Following the meet and confer, the parties should notify the court of ESI discovery production issues or problems that they reasonably anticipate will significantly affect the handling of the case. Principle 7: The parties should discuss ESI discovery transmission methods and media that promote efficiency, security, and reduced costs. The producing party should provide a general description and maintain a record of what was transmitted. Principle 8: In multi-defendant cases, the defendants should authorize one or more counsel to act as the discovery coordinator(s) or seek appointment of a Coordinating Discovery Attorney. Principle 9: The parties should make good faith efforts to discuss and resolve disputes over ESI discovery, involving those with the requisite technical knowledge when necessary, and they should consult with a supervisor, or obtain supervisory authorization, before seeking judicial resolution of an ESI discovery dispute or alleging misconduct, abuse, or neglect concerning the production of ESI. Principle 10: All parties should limit dissemination of ESI discovery to members of their litigation team who need and are approved for access, and they should also take reasonable and appropriate measures to secure ESI discovery against unauthorized access or disclosure. Special Thanks to the Federal Defender’s Office and The Joint Electronic Technology Working Group (JETWG) that was created to address best practices for the efficient and cost-effective management of post-indictment ESI discovery between the Government and defendants charged in federal criminal cases. ESI Discovery Checklist. A one-page Checklist for addressing ESI production issues. Is this a case where the volume or nature of ESI significantly increases the case’s complexity? Does this case involve classified information? Does this case involve trade secrets, or national security or homeland security information? Do the parties have appropriate technical advisors to assist? Have the parties met and conferred about ESI issues? Production of paper records as either paper or ESI? Attorney-client, work product, or other privilege issues? Sensitive confidential, personal, grand jury, classified, tax return, trade secret, or similar information? Whether email transmission is inappropriate for any categories of ESI discovery? Incarcerated defendant’s access to discovery materials? ESI discovery volume for receiving party’s planning purposes? Parties’ software or hardware limitations? Production of ESI from 3rd party digital devices? Forensic images of ESI digital devices? Metadata in 3rd party ESI? Reasonable schedule for producing party? Reasonable schedule for receiving party to give notice of issues? Appropriate security measures during transmission of ESI discovery, e.g., encryption? Adequate security measures to protect sensitive ESI against unauthorized access or disclosure? Need for protective orders, clawback agreements, or similar orders or agreements? Collaboration on sharing costs or tasks? Need for receiving party’s access to original ESI? Preserving a record of discovery produced? Have the parties memorialized their agreements and disagreements? Do the parties have a system for resolving disputes informally? Is there a need for a designated discovery coordinator for multiple defendants? Do the parties have a plan for managing/returning ESI at the conclusion of the case? 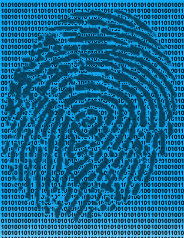 Electronic Discovery in a Criminal Case? Call Casey at 813-222-2220 . Tampa Cyber Crime Attorney just received this tip from a source. “A recent non-published opinion [for your convenience we have published it below] from the District of New Jersey (United States v. Suarez, 2010 WL 4226524 (D.N.J. Oct. 21, 2010)) will be of interest for those who are following issues involving electronic discovery in criminal cases. In this case, the court imposed an adverse jury instruction against the government when it failed to preserve text messages that were sent between FBI agents and a cooperating witness. The instruction allowed the jury to infer (though did not require) that the deleted messages were favorable to the defendant. (3) Whether there is a lesser sanction that will avoid substantial unfairness to the opposing party and, where the offending party is seriously at fault, will serve to deter such conduct by others in the future. (4) It was reasonably foreseeable by the Government that in the context of this investigation and in light of the actions of the cooperating witness the text messages would later have been discoverable. (4) It was reasonably foreseeable that the evidence would later be discoverable.